"Remarkable tech. New 3/4 crown in an hour. Very professional. Would highly recommend C&R"
"Very professional staff, no wait, nice office. Love everything about them." "Caring and very professional dentist." "I've had a lot of dental work done by Dr. Ryee and each experience was excellent." "Dr. Cha and his staff are absolutely great! 11 out of 10, hands down!" "My daughter had great experience - again!" "My appointment was on time. Nice, warm and efficient procedure." "The entire staff are friendly and professional. Dr. Cha made sure I didn't feel any pain"
At C & R Dental Care, the expert team aims to provide first-class, five-star dental care in a state-of-the-art environment with careful attention to detail. They provide deep personal attention to every patient at their three locations in Centreville, Virginia, Tysons Corner, and Columbia, Maryland. The team specializes in general and cosmetic dentistry and are all dental implant specialists. The team of Dr. Wonje Cha, Dr. James Ryee, and Dr. Eun Jung Ji excel at both clinical and interpersonal aspects of patient care. They aspire to be the best dental center for you and your family. They continuously pursue continuing education to become adept at the latest dental technologies and treatment modalities. All C & R Dental Care offices are equipped with the latest dental equipment, such as full digital, low radiation-emitting X-ray units. They also have CEREC 3-D machines that design and “print” porcelain crowns, so your restoration can be completed in a single visit. Includes complete comprehensive exam, X-rays, and a cleaning. * Offer valid only with patients without insurance. At C & R Dental Care, we accept most major insurance plans. Here is a list of some of the plans we accept. Please contact our office if you do not see your insurance provider listed! "Couldn't be any happier with the care and attention to details. This is why our entire family has been your loyal customer for over a decade." 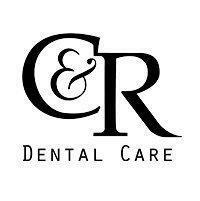 "Had a great experience at C&R Dental. Everyone was very nice and professional. They were straight forward with every detail and the costs involved." "I’ve been coming to Dr. Ryee for over 7 years now. It’s so great to find a dentist that is trustworthy, friendly and competent. The whole staff is great." "Dr Ryee has been my dentist for over 10 years. He is professional, caring, and extremely capable. He utilizes the most current treatment methods and equipment." "The friendly staff got me right in and took care of my immediate problems and developed a long-term care plan to give me a new smile in the future!" "I've been seeing Dr. Ryee for almost 10 years. He's definitely a trusted health partner. Honest, to the point and very practical. Everything you'd want in a Dentist." "I had a great experience - everyone was professional and friendly. I would recommend C & R Dental Care to my friends and colleagues." "Excellent professional and personal care; warm reception; and friendly atmosphere. I would recommend C&R Dental to all of my friends."